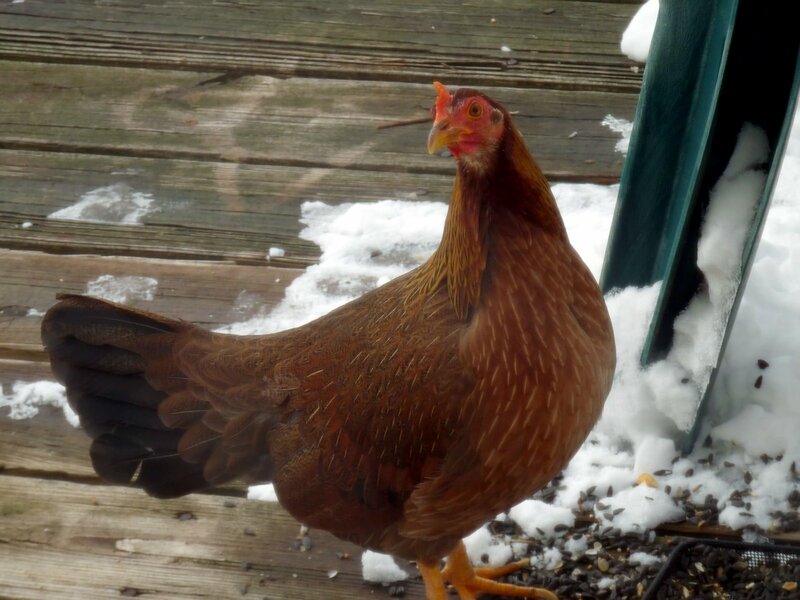 This is Chickie, the chicken that adopted Chris's sister, Marilyn. Chris has six siblings, and they all enjoy their backyard birds and other critters. We don't have details on the species of Chickie, but in this case that's not what matters. This is a small example of how having a blog can just simply be a fun way of sharing common interests and story telling and not worrying too much about technicalities. For instance, Chris has no idea why this text is centering (she doesn't read code), but she's posting it anyway. Mike is the technical brains behind our blog and does 99 percent of the posts, while Chris just stands around and tells him which pictures make her smile more. The moral of this story: We're ready for spring migration - we're posting beavers and chickens!